The left side of this image shows an evenly-graded, dirt path, with a low, white curb. To the right of the path, there is a line of palm trees growing. To the left of the path, there is dense vegetative growth. 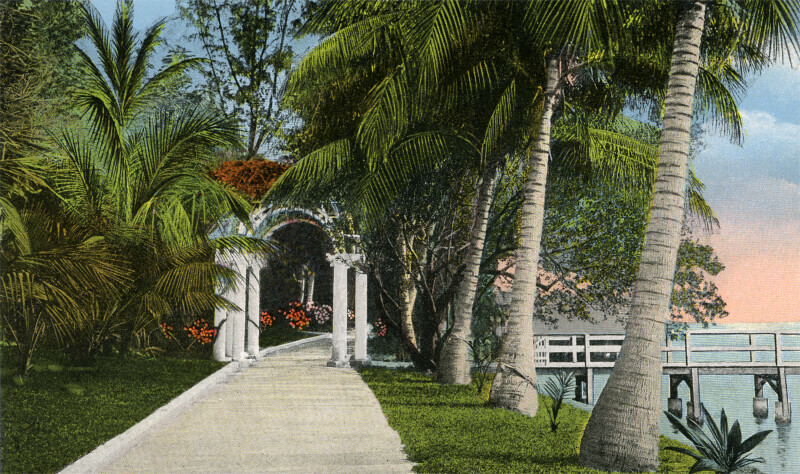 In the distance, there is a white arbor built across the path. The arbor is supported by four round, white columns.